March 7, 2012 - Funeral of Awadia Agabna, shot dead by public order police during the arrest of her brother the day before. 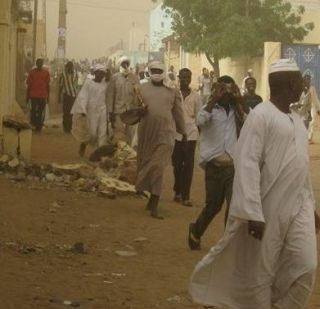 Al Arabia news channel reports on the protests of March 7th, confirming Sudanese authorities had instructed newspapers not to report on the death of a woman during the arrest of her brother. 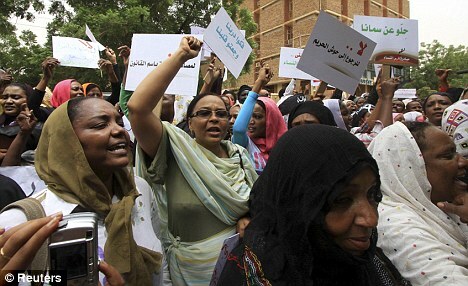 Protests broke out in Adbara on March 7th, 2012. Protests can be heard chanting "the people want the downfall of the government".